Add the brinjal to the yoghurt. In a separate frying pan add 1 tbsp oil. when its hot add the cumin seeds, curry leaves. When it starts spluttering turn off the heat and pour it into the yoghurt. 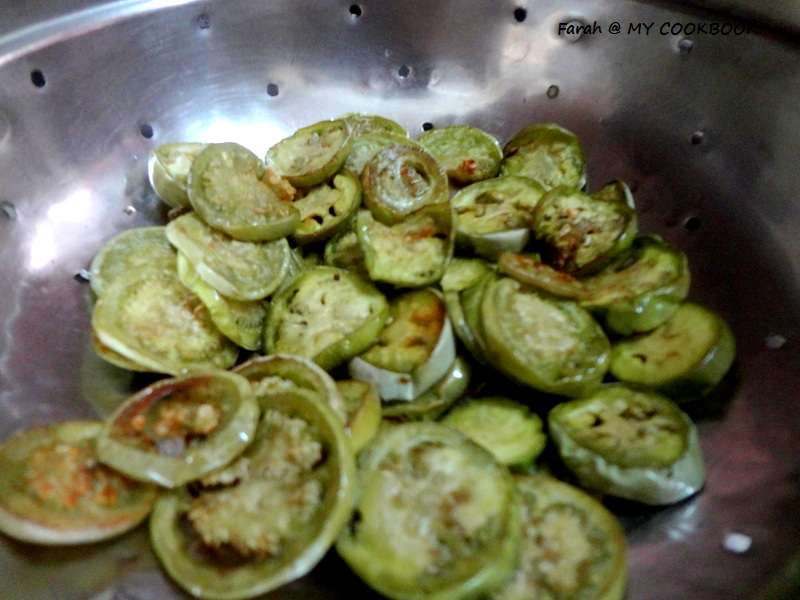 for those who think they want to eat healthier, you can always grill the brinjals. Slice the brinjals , and drizzle with some extra virgin olive oil and grill for a few minutes. 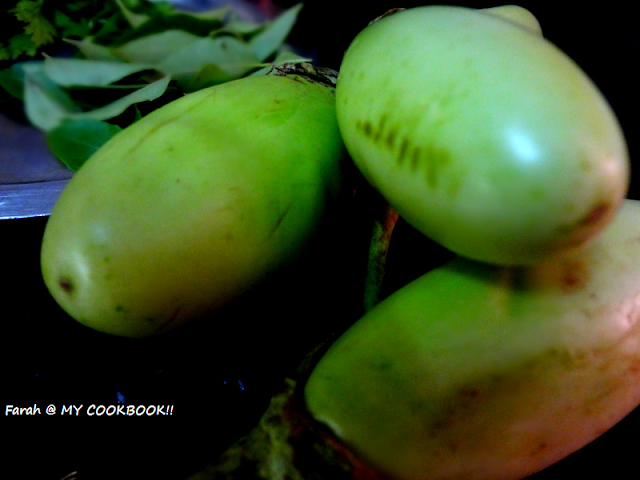 its better to use the green brinjals for this recipe rather than the purple ones because thepurple ones might be a bit bitter. Different and yummy raita. 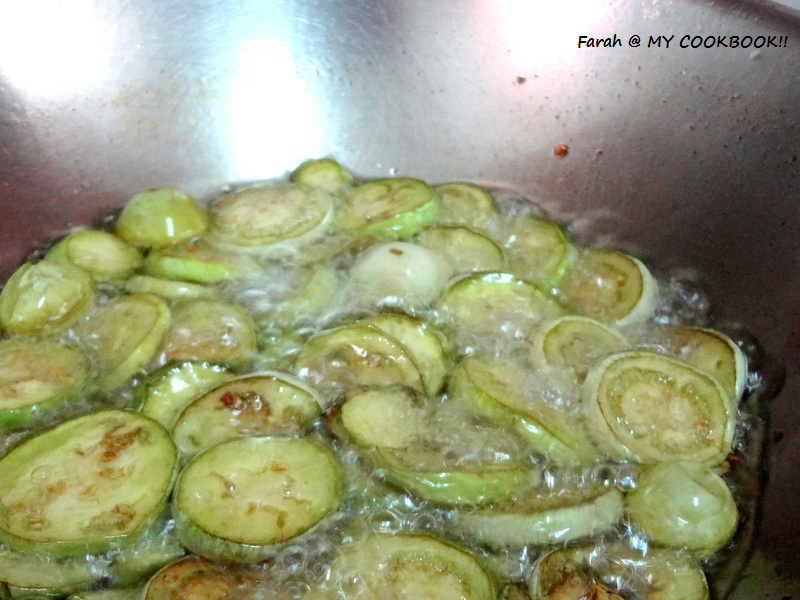 Nice idea of using fried eggplants. Thx for linking to the event. 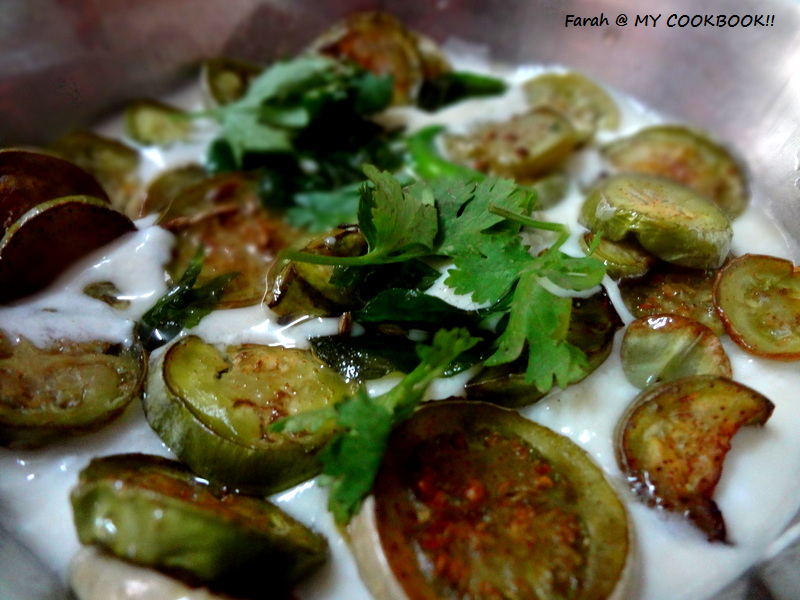 Looks really very yummy brinjal raita. This really is an interesting twist! I am sure the crunchy fried brinjal must be a wonderful contrast to the creamy raita. Well done! Hi! Just stumbled upon your blog and love this raita. I recently made eggplant raita but with roasted ones. This looks very unique and delicious. Will be trying it out.